Altamonte Springs Florida party bus rental is available for all your party bus needs. Don’t squeeze your large group of friends into an oversized limousine, get a spacious party bus instead! Preview our extravagant 18 and 40 passenger Altamonte Springs party buses. Our advanced and custom built party buses have all the amenities one could dream of! Call Orlandolimorental.com to receive a great quote for a great Altamonte Springs party bus rental! View all of our Altamonte Springs limousines for rent. Orlandolimorental.com in Altamonte Springs Florida will be grateful to service all your local and long distance bus transportation needs. We provide shuttle bus service, airport transfers, and airport transportation to all Florida airports and sea ports, including the Orlando International Airport and Orlando Sanford International Airport. 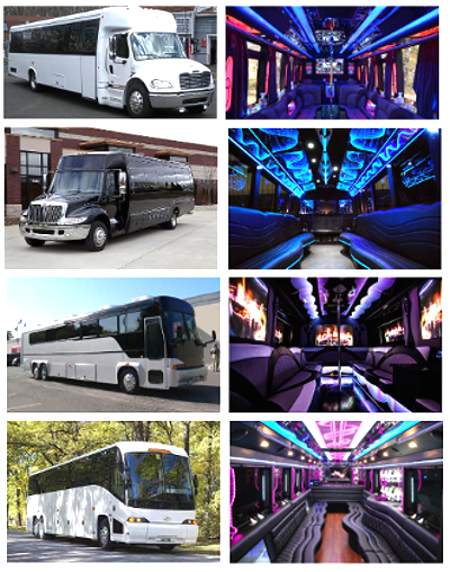 We are the number one source for party buses, coach buses, mini buses, shuttle buses, and charter buses. Give Orlandolimorental.com in Altamonte Springs a call if you are looking for quality bus service with affordable rates.